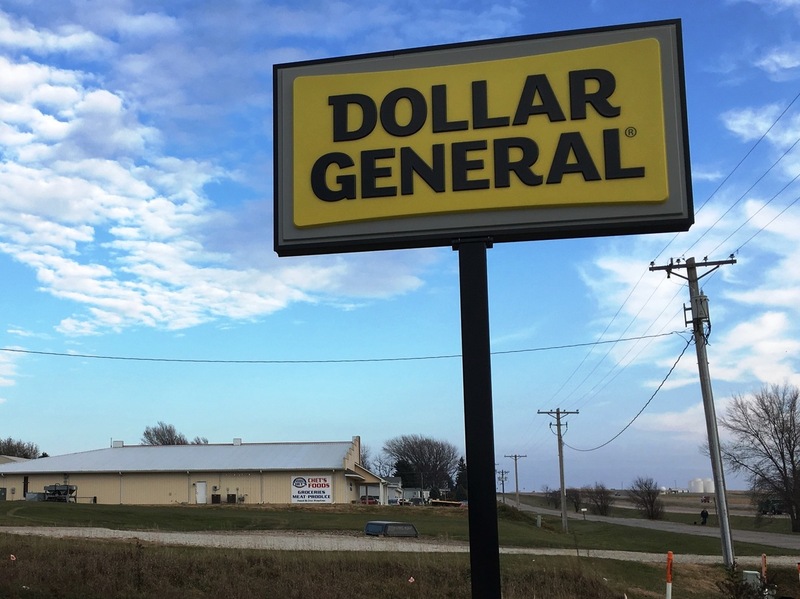 How Dollar General Is Transforming Rural America Dollar General stores thrive in low-income rural towns, and the deep-discount chain has opened hundreds of new shops in the past year. The Dollar General in Moville, Iowa, is a stone's throw from the only grocery store in town. Though the grocery has produce and fresh meats, it can't compete with Dollar General on other items. The retail economy in rural America has been rough for decades. But where thousands of stores have closed in recent years, Dollar General is thriving, sometimes at the expense of local shops. Dollar Generals are discount stores that sell goods from hand tools to hot dogs. They're reshaping the retail landscape in small towns. And making lots of friends — and enemies — in the process. When Dollar General moves into a place like Cawker City, Kan., it brings more than cheap merchandise. Cawker City — a town of about 450 people in the remote north central part of the state — lost its last grocery store years ago. Longtime resident Linda Clover says having food for sale in town again is a lifeline for the town's substantial elderly population. She says the new store is both the retail and social hub of her declining little town. "We call our Dollar General the Cawker City Mall," Clover says, laughing. "It's a place where you go and see your friends, and people from other towns around." Dollar General is the biggest of the so-called dollar store chains. As is sometimes misconstrued, its merchandise is not restricted to a $1 price tag, unlike at some of the other "dollar store" chains. Chris Merritt, with the Illinois Institute for Rural Affairs, says Dollar General has had a profound impact on rural America. "For many communities, it's the first new commercial investment in many years," he says. "It represents progress of a sort." Dollar General is set to open 1,000 locations this year, for a total of more than 14,000 stores. It will have more stores than McDonald's has restaurants in the entire country. That includes plenty of urban locations, but the chain's bright yellow and black signs pop up about every 10 miles along many remote state highways. Like Walmart, it has rural roots. Dollar General started in small-town Kentucky. Al Cross, who runs the Institute for Rural Journalism at the University of Kentucky, says Dollar General competes with the world's largest retailer on price and convenience. "They serve a part of the country that Walmart doesn't serve directly," Cross says. "You have to maybe drive 20 miles to get to a Walmart. You might only have to drive 5 miles to get to a Dollar General." Dollar General — which declined to comment for this story — doesn't sell the big-ticket items available at Walmart, like large TVs, bicycles or boats. But some rural residents have to drive past two or three Dollar Generals to get to the closest Walmart. If they just need detergent and a few groceries, Dollar General can fulfill those needs. Retail analyst Mike Paglia says the chain succeeds by selling everyday items at recession-era prices. "In a lot of rural areas times are still very, very difficult, and a lot of shoppers are still struggling to get by," Paglia says. Even before the recession, it was tough to run a store in rural America, according to Kent Baker, publisher of the Moville Record in Moville, Iowa. 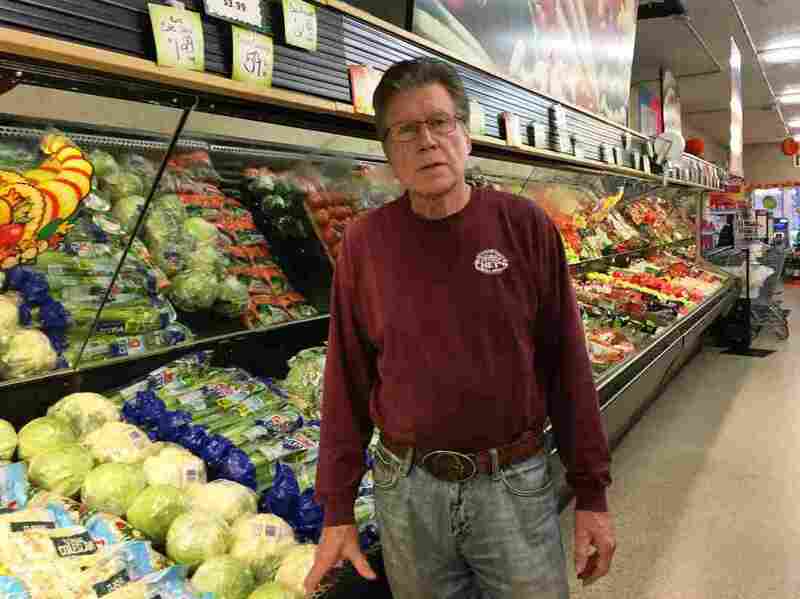 "Half the grocery stores in Iowa closed between the years of 1995 to 2005," he says. After a previous grocery store closed in Moville, Iowa, residents recruited nearby grocer Chet Davis to manage a new location of Chet's Foods. The Moville Record offices are in an old building downtown. The front windows look across Main Street at empty buildings. Moville is only 20 minutes from Sioux City, and most people do their business there. But when Moville lost its last grocery store, locals fought back. Baker says the community donated roughly $600,000 in cash and property to build a new one. Then the residents enticed grocery owner Chet Davis, who owns multiple locations in the area, to take over the new store. Davis opened the Moville location of Chet's Foods, and he says for years business was pretty good. "We were doing real well, we were making a profit, and keeping our customers satisfied," Davis says. "Then in come Dollar General." In 2016, Dollar General built a location a stone's throw from Davis' store. Davis says his sales plunged by about 30 percent, initially, and that Dollar General sells some items at a lower price than he can get them for wholesale. He says he will make a decision about closing his Moville location in early 2018. If he does close, it won't be for lack of devoted customers. Brian Paulsen is one of them. Paulsen is willing to pay more at Chet's than he would next door, because he values having a grocery store in town. "Use it or lose it," Paulsen says. "It's like all the rest of the small towns. They never used theirs, and theirs are gone. And I'd rather come here than Dollar General." The grocery store does offer things Dollar General doesn't, like fresh meat and produce. David Proctor, a researcher at the Kansas State University Center for Engagement and Community Development, says that rural grocery stores are sometimes the only place for miles to buy fresh food. He says store owners he has surveyed call competition from Dollar General a top threat to small-town grocers. But even shoppers instrumental in saving local stores, like the one in Moville, admit that Dollar General sells items that people haven't been able to buy in town for decades. Ultimately, it's rural consumers who will decide whether what Dollar General brings to their hometowns is worth what it could be taking away.